Yin Ho | Thu Jan 26th, 2012 9:04 a.m. There's often something hidden in plain sight in your work. 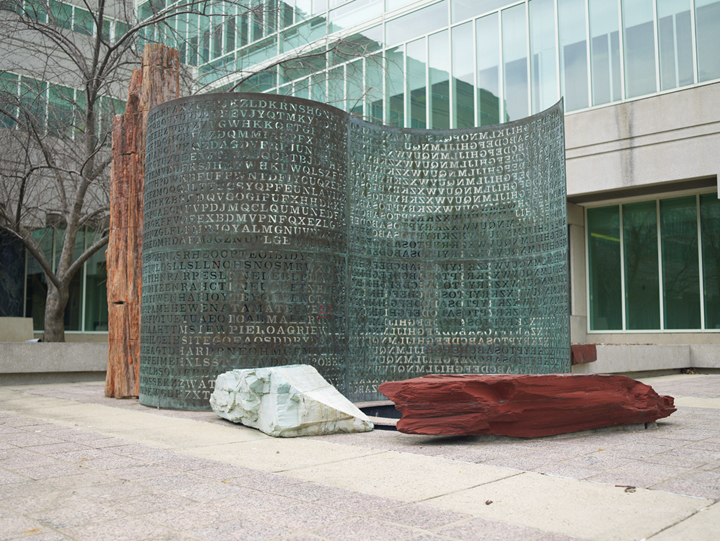 In public installations like Kryptos (at the CIA plaza) and A Comma, A in Houston, among others (I'm thinking also of the Covert Obsolescence and Archeotranscription pieces), it's letters/word/code. How does written communication affect your work? Is there a background story that drives these pieces? 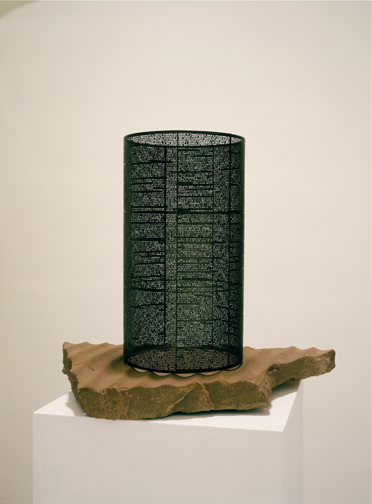 Prior to the Kryptos commission my work documented hidden or invisible natural forces, Earth’s magnetic field etc. 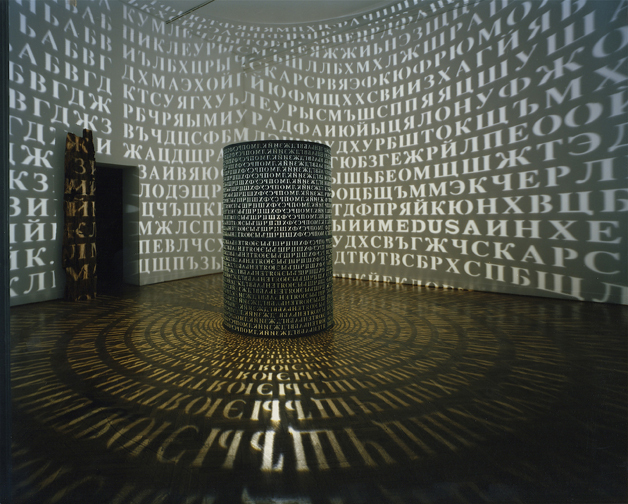 For the Kryptos piece and for the 20 years since, the hidden forces/content in text and language have taken over. For most of my life both of my parents worked at the Library of Congress, My father as the Director of Exhibitions and my mother as a photo researcher, this privileged access to the historic record was tremendously enabling. The texts I chose for my public projects were heavily researched at the L.C. and in these works in particular the International, Classical, and Native American texts were used to encourage collaboration among cultures to fully decipher. 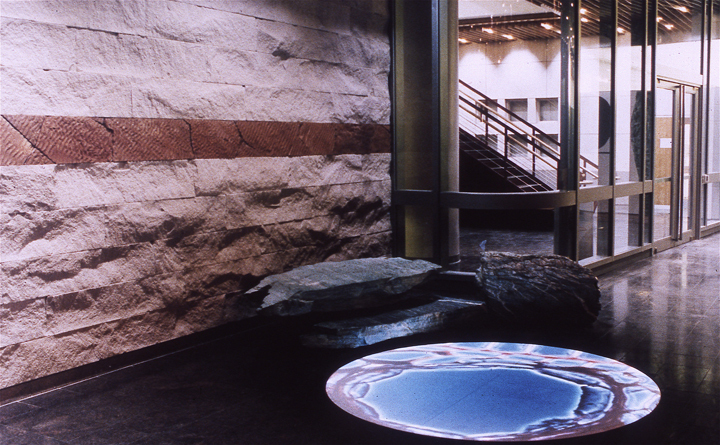 Like Kryptos, the other public works are designed to exude their information slowly. The “background story” is either above, or resides in the following: The Archeological record offers us a frustratingly fragmented view of the past. Though fragmentary, this archeoview is pregnant with secrets yet to be discovered and is thrilling in its potential. Secrecy is power even if it is just a little something kept from view, buried, so to speak, in the matrix of everyday life. For the past 30 years, my task as an artist has been to release this hidden information at a rate commensurate with its importance, and at the time of my choosing so as to prolong the experience of discovery. As we all know, artwork that gives up its form or content quickly is soon forgotten. Eerie luminescence is a part of many of your pieces from a print of an autoradiograph to projections on arresting landscapes and thrown across buildings. How do you think of light? Are you interested in the objects that provide light or make it seen (e.g, projector, radiograph)? Does evolving technology alter the way you consider your work? 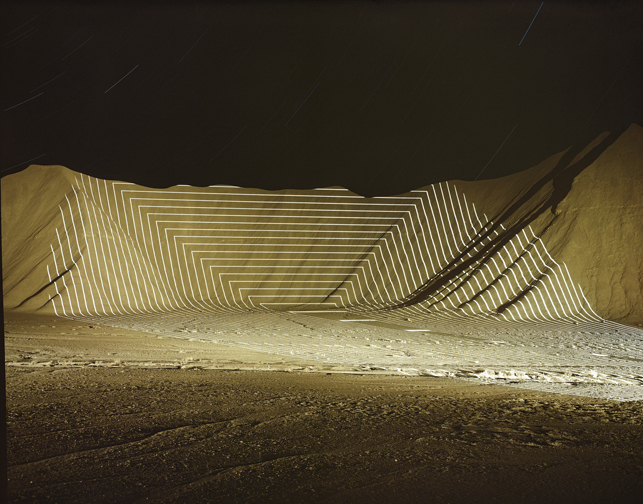 Respond anyway you'd like: What do you think of when you think of landscape, affect, and uranium? The large format projections I did in the mid 1990’s offered some relief from the psychological burden of the secrecy work, i.e. Kryptos, Covert Obsolescence and the Archeotranscriptions. After completing Paleos a commission for MIT in Cambridge, I duplicated the projection system I used there, threw it and a generator and a 4x5 camera in the back of my Jeep, left DC and headed out west to areas very familiar to me to begin the Topographic Projections and Implied Geometry Series. 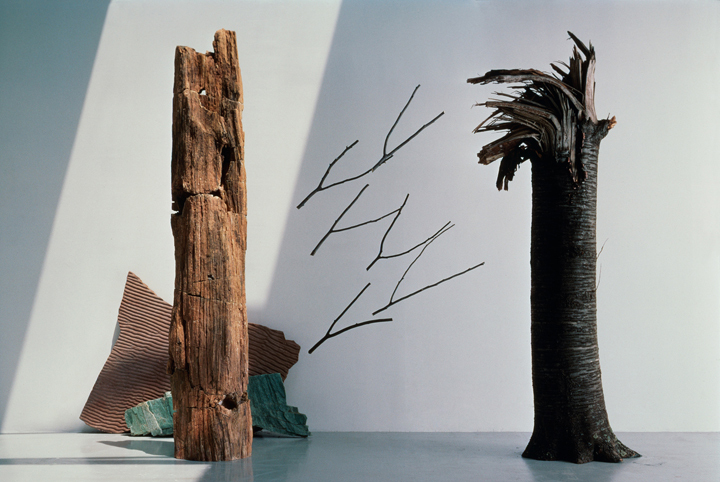 The tortured, sculptural, landscapes of Utah, New Mexico and Wyoming, were so familiar because I had spent two decades there collecting materials for my work on natural forces. This “collecting” regimen began to wear on my environmentalism, so I completed the large format projections as a way to affect a large landscape without effecting it, to leave no trace, etc. The resulting large digital prints, and the project as a whole, was a bit tongue-in-cheek. At that time, the digital manipulation of art photography was just revving up, and I decided to develop a series of real-time images that appeared digitally manipulated but were not. 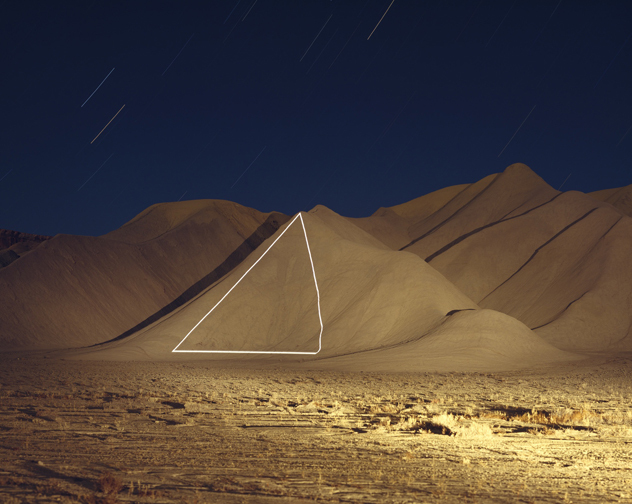 The final western US projection trip in the fall of 1998 followed a summer projecting in Ireland for the Sirius Project residency, and it led me to White Sands, New Mexico. This intensely beautiful landscape was ironically juxtaposed to the site of the first atomic bomb test. 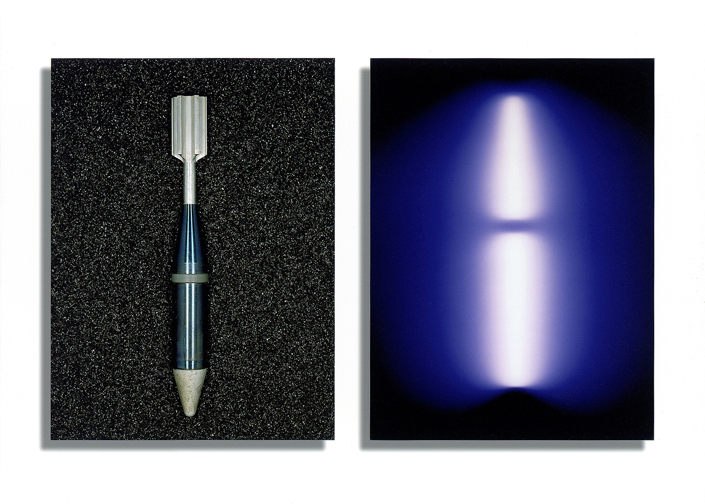 And not shying away from irony or questionable personal safety, I began my ten-year dalliance with nuclear physics, uranium and nuclear fission as art. 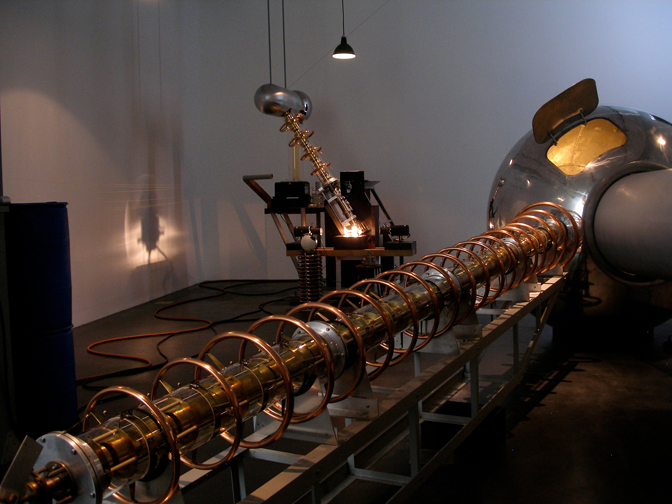 The Atomic Time and Terrestrial Physics installations both studied that moment in scientific research when technology takes over from pure science. The difficulties with this transition notwithstanding, the seductive nature of nuclear science is reinforced by the stunningly powerful imagery it can produce. From the shocking visage of a hydrogen bomb explosion to the deadly blue-green glow that emanates from highly radioactive materials, these particularly toxic light sources are mysteriously fascinating and are a far cry from the recently banished incandescent bulb. Jay Fox | Fri, Jan 27th, 2012 1:25 a.m.
Nice posted article you've wrote and shared to your readers like me. Hope to see more updates in the next following days. Keep it up the good work.